rhinestones placed in center of flowers and waalaa a very simple pretty card. 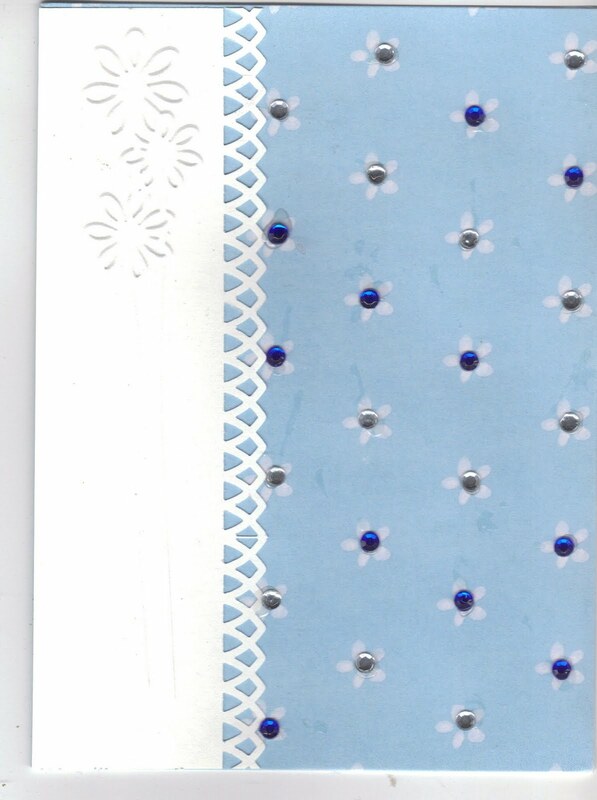 Judie this is a pretty card. I really like the MS lattice punch. This is one of those simple pretty cards that is nice to have on hand for when you need a quick card and can add "Thinking of You","Happy Birthday" or whatever you need.